Another day, another new release breaking records left and right. But this time, it’s not for a tentpole film based on a preexisting property, but for Disney’s Zootopia. The animated film debuted to the tune of $73.7 million its opening weekend, good enough to be the biggest opening ever for a Walt Disney DIS +0.92% animated film, the ninth-biggest animated debut of all time, and, what’s more impressive, the third-biggest opening weekend for a movie based on an original script. Scott Mendelson took a look at four reasons why Zootopia is breaking records left and right and made some excellent points, but I’d be remiss if I didn’t also give credit to the marketing team and its unconventional campaign. Disney’s animation hasn’t exactly suffered in the last decade; its films always do well and Frozen was a cultural behemoth that has legitimately changed the way we view Disney’s animation branch. But the reality is that the “Disney” brand doesn’t carry with it the inherent cool factor that the name “Pixar” does, at least, not to millennials. The marketing of Zootopia aimed to change that, and employed a multipronged approach to speak directly to that all-important millennial demographic with a self-referential campaign that showed far more awareness of current pop culture trends than might otherwise be expected from the House of Mouse. The campaign relied heavily on parody and mash-ups, those tentpoles of millennial social media culture, first releasing a series of parody posters that mimicked other recent films, including Straight Outta Compton and Jurassic World. Later, the campaign released another wave of parody film posters just in time to target the awards contenders for Oscar season. But the parody didn’t stop there. The campaign also released a series of mash-up video promos in the style of various millennial-targeted, female-skewed television series such as Shadowhunters (which became Shadowherders: The Mammal Instruments in the Disney parody), Pretty Little Liars (which became Pretty Little Lemmings), and Baby Daddy (Baaa-by Daddy), airing them on Disney’s Freeform channel, previously known as ABC Family. They were charming and clever, and showed a potential audience that there was more to Zootopia than simply being an animated movie for kids. And the campaign further showed its pop culture savvy by tapping into the world of social media stardom. Zootopia‘s campaign teamed up with Vine star Zach King, creating a parody video of King’s wildly popular “Jail Escape” Vine video. With the team-up, Disney tapped into a social network that other brands have yet to fully utilize. While only about 10% of top brands use Vine for marketing and promotional purposes, they’re missing out: the social media platform has 200 million active users a month, and 100 million of those users watch Vine videos on a monthly basis. And the most magic number of all? A full 71% of Vine’s users fall into the millennial age range. But the marketing campaign for Zootopia took it one step further into the wholly unconventional. While the approach it took with marketing to millennials was creative, the desire to market to that demographic is a no-brainer; it’s the demographic virtually every brand targets. Where Zootopia‘s marketing went off-script, some might even say weird, is that it marketed to the Furrie demographic. For those of you unaware of this particular subculture, suffice it to say, it’s a fandom that’s obsessed with anthropomorphic animal characters from fiction, often dressing as them and roleplaying their parts at conventions – and, yes, there is definitely a fetishized sexual component to it. Weird? Definitely. Effective? Also definitely. It was rather genius on Disney’s part, marketing directly to a demographic that will almost certainly be sexually attracted to your main character – even if that main character is a 2D, fictional, animated character. It’s worth pointing out that the main character of Zootopia, Nick Wilde (voiced by Jason Bateman), is an anthropomorphic fox that might as well just be the modern day version of Disney’s vulpine Robin Hood, a character that already enjoys wild popularity among Furries. At least one marketing agency working with Disney on Zootopia reached out directly to the Furrie community, in particular the Furrie meetup group Furlife. 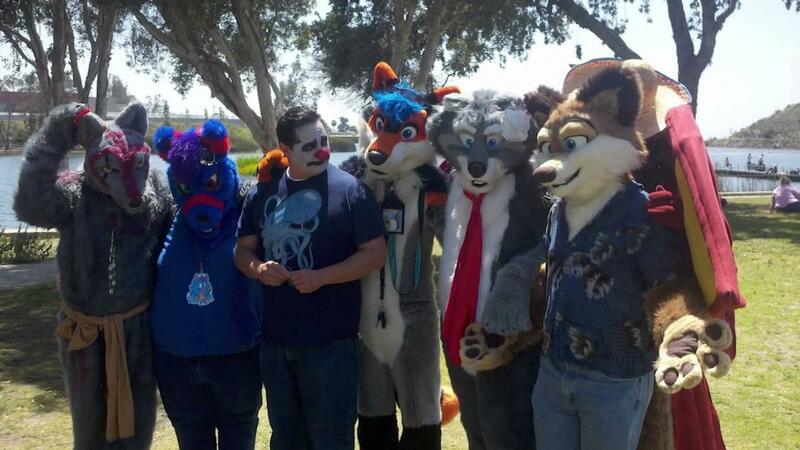 The campaign encouraged members of the group to upload photos of themselves in their chosen fursuits (animal costumes in layman’s terms) and include the movie’s hashtag in exchange for free stuff from the movie. If the above two paragraphs felt weird to read in conjunction with Disney, trust me, they felt even weirder to write. Yet it was effective. Furries started speculating the film was secretly made specifically for them, even organizing movie viewing parties and meetups for opening weekend. Zootopia‘s wacky, off-brand, and quirky marketing proved that it doesn’t matter how weird a campaign gets as long as it works. And with a worldwide cumulative total of $233.9 million so far, the marketing campaign for Zootopia has worked like a charm.